There are a lot of considerations when buying laptops, but you need not worry as it only takes a smattering of knowledge to help you see which portable computers are the best for you. Here is a quick rundown of a few things you need to know when you buy a laptop. For the very first time, boffins in France have invented anti-Wi-Fi wallpaper ,which looks and performs functions exactly like normal wallpaper but it blocks Wi-Fi signals.But it blocks only the frequencies on which Wi-Fi basically operates it doesn’t block others. Sony always want to serve its users in the best manner and thus, this year company gift us Sony VAIO Duo 11 that is a hybrid tablet. This tablet is indeed a nice piece of development from the house of Sony. After getting it, you can sell either your laptop or tablet. Actually it is a device that can become a slate or laptop depending on your preference. Chromebooks: are they the real deal? As more of our lives are lived online, whether through social networking, accessing media content such as videos, music or games, or actually doing ‘proper’ work through the use of shared projects, the increasing visibility of Google as a one stop shop for all our cloud computing needs is entering a new phase. 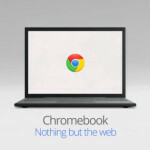 Posted in Notebook | Comments Off on Chromebooks: are they the real deal? When the smartphone is to be selected particularly for the business then it is very easy that the people can get swept with the latest models of the mobile phone whether it is Nokia Lumia 900 or IPhone 5. Ramos has come with three new Tablets with the name of Ramos W10, Ramos W12 and Ramos W15. All these tablets are equipped with wonderful features and function. 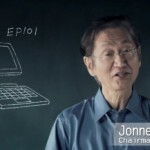 We also informed you that Asus has a plan to launch four new Eee Pad such asEP71, EP101, EP102 and EP121 at CES 2011. 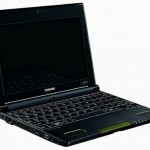 Dell Latitude 2120 Netbook is going to launch by Dell at CES 2011. This stylish netbook includes a number of interesting features and specifications of user’s interest. 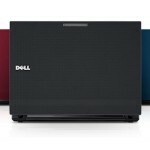 This laptop of Dell will equip with a 1.5GHz Intel Atom N550 dual-core processor. HP recently launched its winter season laptop for both girls and guys and the name of this laptop is HP Pavilion dv6 Rossignol Edition. Toshiba NB550D Netbook will be launched at CES 2011 by the Toshiba. This high-end device of Toshibe will come with wonderful facets and functions. The most attractive features of this gadget is its 10.1 inch with TruBrite WXGA LED backlight. It comes with wide range of connectivity such as LAN, Bluetooth and Wi-Fi , the same options you get with Gigabyte Q2005 Laptop. ASUS has displayed some photos of its Eee Tablets on the web and now we came to know that ASUS will launch around four tablets at CES 2011. The name of these tablets is Eee Pad EP71, Eee Pad EP101, Eee Pad EP102 and Eee Pad EP121. HTC Scribe will be an Android Honeycomb tablet from HTC? 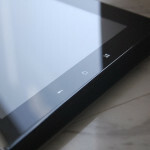 HTC Scribe will be the new Android Tablet of HTC and this news is come to us via digitimes.com. Actually HTC has filed an application for a trademark with the word “Scribe”. This application is submitted for good and services section and from its specifications it is clearly evident that it will be a Tablet Computer. kirk:How do we get rid of Obama???? How To Become A Successful Information Security Analyst? © 2019 Latest Technology News at zahipedia.net All Rights Reserved.